Signs Visual prints custom magnetic vinyl signage in New York, NY. Our magnetic vinyl signs are very useful for a removable and portable option such as on automobiles or cars. Also these magnetic signs are great for special surfaces like metal or stainless steel plates or structures. These magnetic signs are printable from up to 24" tall with an unlimited length. 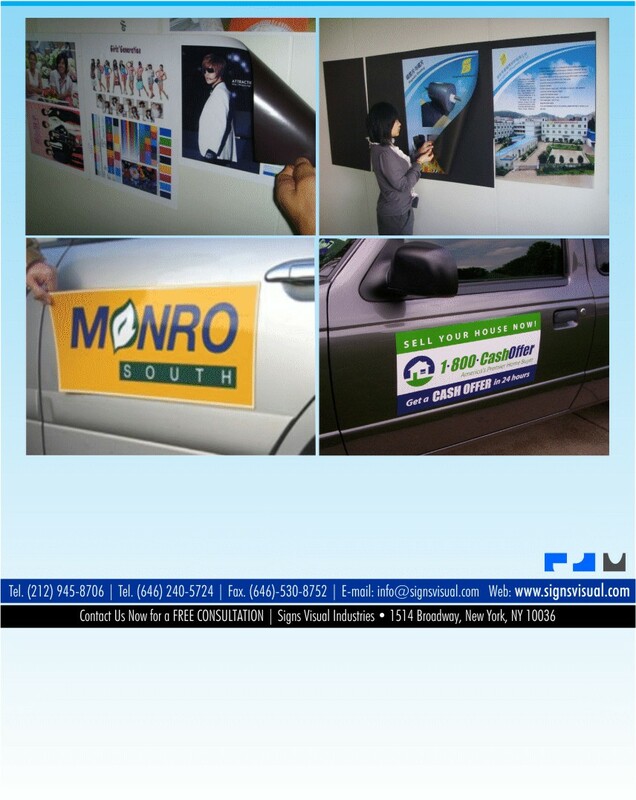 Contact us today on your next magnetic sign order in NYC.